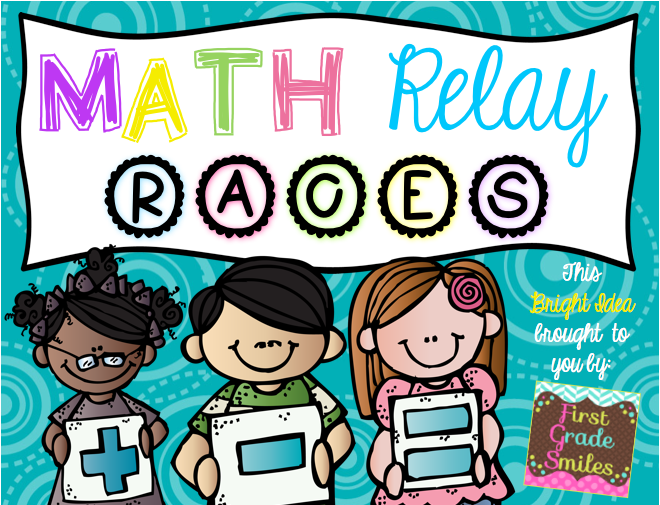 This month I'm going to explain a super quick math activity you can do at any grade level and with many different concepts - Math Relay Races! 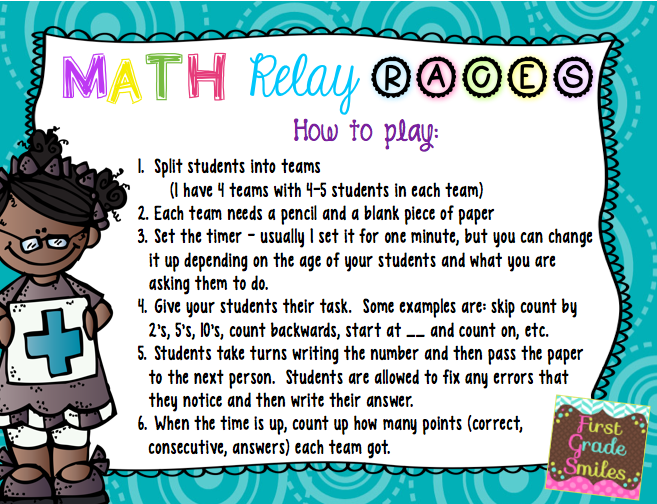 Math relay races are a great way to give your students practice with some basic math concepts likes counting forwards, counting backwards, skip counting, and SO much more. One of my colleagues introduced this game to me and I was so impressed with how well my students did with it. I just HAD to add this to my bag of tricks. 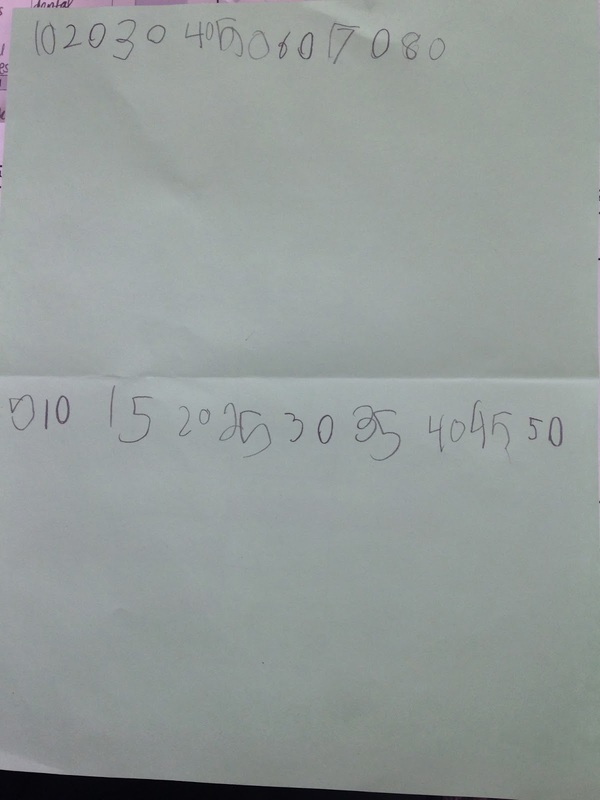 This particular day we were practicing our skip counting by 10's and 5's. 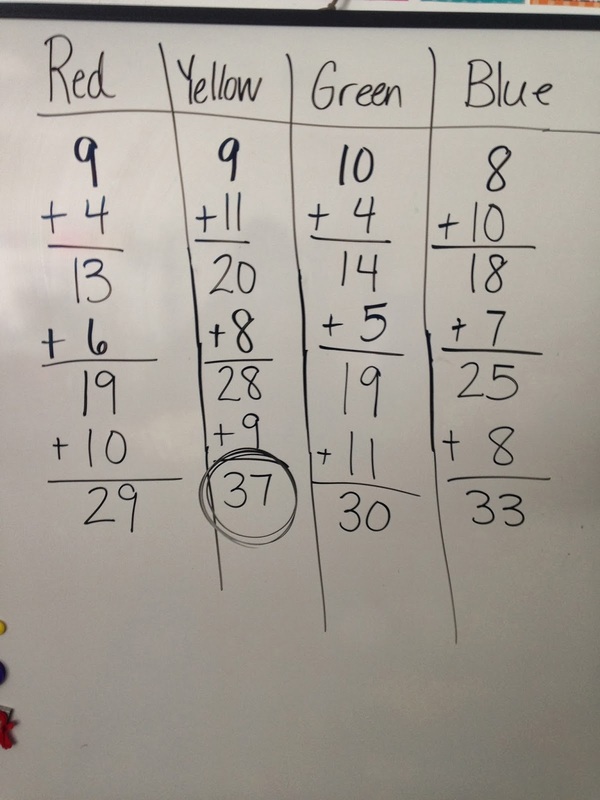 I had them work for 1 minute, which was pretty good for my first graders, although I think we will add some time to it as we get better. We used a blank piece of paper folded in half and we used both sides of the paper. Very simple concept, but definitely helpful and a quick way to practice. We usually play 4 rounds and I keep track of points on the board. I have each group add up their totals themselves at the end of each round. Like I said above - this game could also be played with variations. 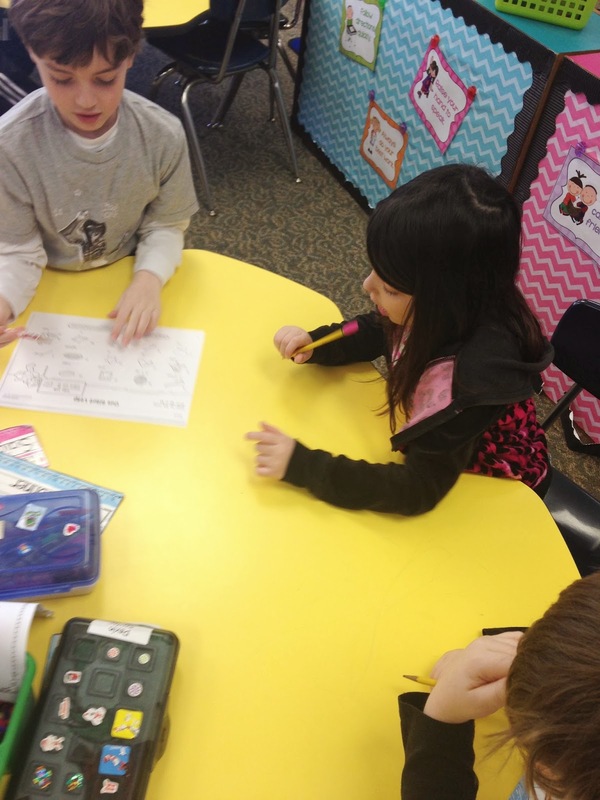 Below is an example of how I used a phonics worksheet for a relay race. 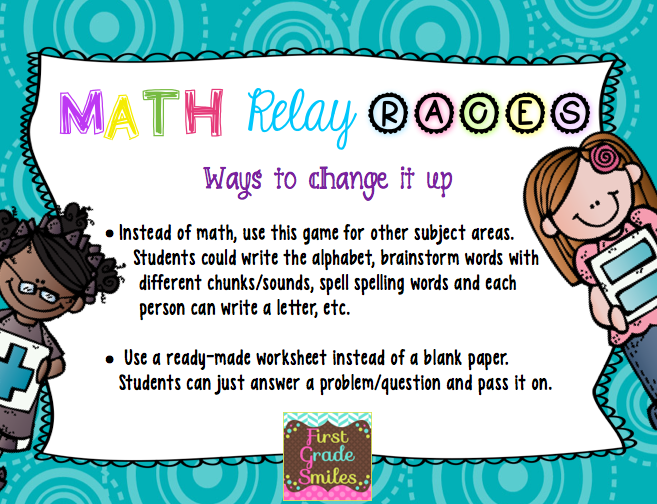 Believe me when I tell you, my students LOVE when I tell them it's time for Relay Races. And if you are anything like me, you love finding those super simple ideas that you can implement into your classroom the very next day. I hope you found this Bright Idea to be something that you could use in YOUR classroom. If you are looking for more Bright Ideas, you should check out this Pinterest board by clicking on the picture below. You will find tons of great blog posts filled with Bright Ideas for the classroom. Thanks so much for stopping by and reading about my bright idea. 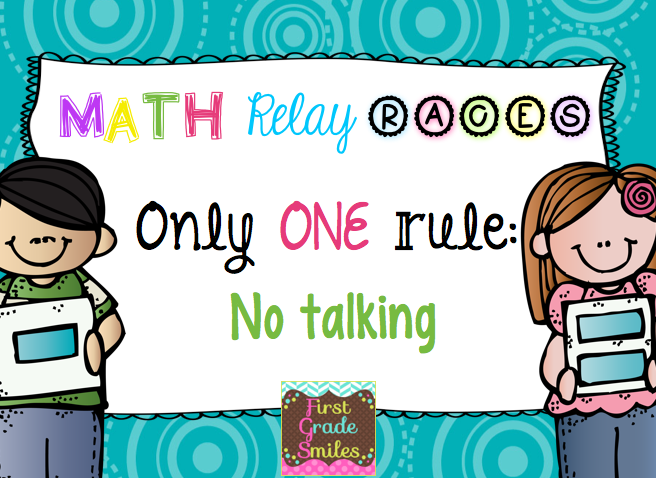 I'd love to read any comments you might have about more fun ways to practice math facts or skip counting. We used to do this for spelling and the kiddos loved it!! I love the idea of bringing it into math. Wohoo, this hop rocks! Love this idea! Can't wait to give it a try! Thanks for sharing! What a GREAT idea! I think we will be trying this this week =) Thanks Melissa! I saw this earlier in the week through your post on Instagram and tried it with my students. They loved it and so do I! What a fun and creative way to practice important skills! Thanks so much! Great Ideas! I can't wait to try this! !